The one time ergonomic office has since morphed into the modern day “Active Office”. For a long time it has been mainstream to outfit your office with basic ergonomic equipment. This would simply be a nice ergonomically designed desk chair, keyboard, and mouse. The ergonomic office design was based on environment design and proper body fit. If you were a shorter person you could get a smaller chair with the bumps and curves in strategic places so you would be more comfortable sitting for those long hours at your keyboard. Keyboards and the mouse are also available in several ergonomic designs so you can choose comfortable sizes and shapes that will be more comfortable and less damaging to you. The hope is to try and avoid the problems associated with the repetitive movements incurred while typing. All of that is great but as it turns out – an ergonomic designer chair isn’t enough. The active office furniture and equipment that is entering the workplace today give a person a lot more than just a comfortable place to sit. One big drawback to the ergonomic chair has always been… The Desk! Your chair might change height to suit your stature but the desk didn’t. That meant the desk could be too high or too low for proper posture positioning. The keyboard tray made up for this a little bit but now you can modify your desk so your keyboard and monitor can raise and lower to your needs. The other great thing about adapting your desk with standing conversion kits is because you don’t have to sit OR stand all day. Time your standing and sitting and get the full benefits of adding activity to your work day. The study of Sitting Disease has indicated that frequent standing intermittently during the day is better than sitting throughout the entire day. Who would have thought that the day would come when the treadmill would be part of the office environment? Treadmills, standing desks, and under desk exercise equipment so you don’t have to interrupt your work to keep up with your health. More info on the Ergotron stand/sit desks and conversion kits. As far as exercising under the desk goes the most popular device so far is the pedal exerciser. Out of all of those one clear winner has emerged too. When buying office exercise equipment there are a few things to take into consideration. One of the main things is the possible noise you could be making when using the equipment. This doesn’t necessarily mean the grunts and moans common to the weight room at your local gym, but the machines themselves. There are walking treadmills that have been specifically designed for the workplace. They are quiet, made for the heavier person, and will not go faster than a good brisk walk. The best one (that I am aware of) for this purpose is the LifeSpan Treadmill. Modifying an old running style treadmill can save you money but it will be noisy. 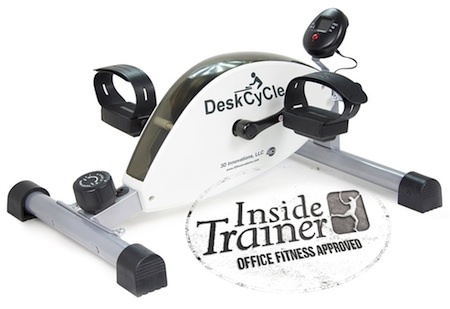 For under desk pedals the top pick is the DeskCycle. It is the lowest profile so the majority of people can use it while working at their desk. It is also VERY well made and the resistance is made of a magnetic system so you won’t get the grinding screaming noise that is common with friction style resistance. Another piece of office exercise equipment that is well made and fully functional for adapting to the workplace is the OfficeGym. If you are slumped for hours at a time over a desk this chair attachment allows for quick and simple exercises. Taking care not to cause injury by long bouts of sitting means getting up our of your chair once in a while and getting some activity. It also means adding more movement to your day even while you are sitting. Look around your workspace and make note of where you could add a active office component. 1. Stand/Sit – is there a way to change your position frequently throughout the day without interrupting your work? 2. 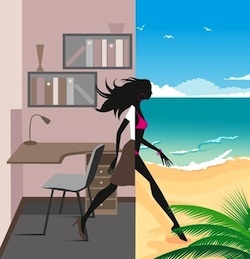 Movement – can you incorporate movement into your workday and still keep working? 3. Weight Management – healthy lunches often means to brown bag it. Do you have a good supply of healthy lunch ideas? 4. Adequate Sleep – being healthy includes getting to bed on time. 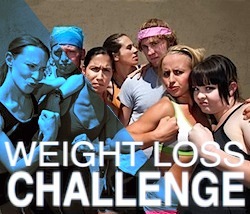 Sometimes this may take a little organizing but has also shown to maximize weight loss efforts. Common comments among people who have switched over to an active office lifestyle are they feel much more alert by the end of their workday than they did before and they feel more productive than before. Here are other healthy things you can do to add healthy choices to your workplace.